Located by the Luka Budva and the Mediterranean Sea, Old Town of Stari Grad is a quaint and picturesque place with marbled streets and the beautiful Venetian Walls, giving it the acknowledgement of Mini Dubrovnik. Recovering from the devastating earthquake, that ruined much of the Old Town, the Stari Grad now has a number of street shops, restaurants and Venetian residences. The Citadela located on the seaward end of the town offers a magical view of the city and the far-stretched sea. A number of churches are located inside the Citadela complex along with a museum. Traverse through the old town, explore the colonies and get enriched in the Grecian culture. Since Stari Grad is a neighbourhood, it has no opening and closing times, use your discretion to plan your visit here. While entry to the neighbourhood is free, the attractions located here might require an entry fee. How popular is Stari Grad? 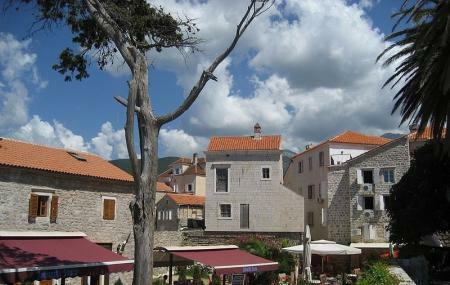 People normally club together Altstadt and Budva City Walls while planning their visit to Stari Grad.